The Cosmos story started in 2014 after the Tendermint team learnt how to build a secure Proof of Stake (POS) network, where you can put a security deposit on chain and if you double sign and try to fork the blockchain you lose your security deposit. This solves the “nothing at stake” problem present in other POS currencies. The team also came upon Byzantine Fault Tolerance research and learnt how to implement the protocols to build out a proper Byzantine Fault Tolerant network, Tendermint. Tendermint is a decentralized consensus engine that runs its own blockchain, which can either be private or public, and also supports decentralised computing. It has a different consensus protocol than Ethereum, and uses the concept of validators who need to bind funds to validate and who also need to validate blocks over the course of a certain number of rounds. Jae Kwon, the founder of Tendermint’s, plan was to built Tendermint into the first secure POS blockchain to compete with bitcoin. In 2014, Ethan Buchman was working at Eris Industries, which is now Monax, and was looking for a better consensus algorithm than Proof of Work (POW) that could work for enterprises. Ethan and Jae worked to integrate the Eris and Tendermint stack and got frustrated over the difficulty in developing forks of blockchain software.Jae came up with a technical solution for the problem which was to create an interface that could separate consensus from the application. Consensus became one project and the application became a separate project that could run in an independent process on the computer and communicate using a socket. The project could be a proprietary enterprise blockchain application and still be written using open-sourced Tendermint consensus software. Early summer 2016, the team designed and decided to hold a public fundraiser to support their project development. They used an early funding round to grow the team so there were 7 developers and began to hit the ground running. The team launched Ethermind, which runs on top of Tendermint, as well as Basecoin, a cryptocurrency framework to build cryptocurrencies using Go that can support plugins with all sorts of additional properties. They are using this framework to build the first iteration of the Cosmos Hub, which will have basic currency functionality and multi asset cryptocurrency all with built in governance to vote on proposals to the network. In the second realase, the plan is to add in the sidechain functionality to connect with other blockchains. Their plan is then to launch an additional four other blockchains that will connect to the Cosmos Hub. One wil be a decentralized exchange, one will be a peg of bitcoin to move Bitcoin to the network, one will be a peg of Ethereum to move Ethereum to the network, and the last is Ethermint which allows you to run Ethereum smart contracts within the network. 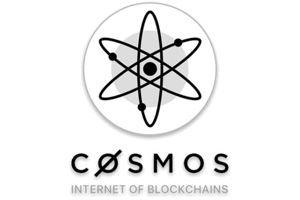 Also at present, there are people on the Cosmos team and on external teams, working in collaboration with the Cosmos team, to build applications on the Cosmos network. These include private enterprises and large cryptocurrencies looking to integrate Cosmos. There are lots of competing technology in this space. Ethereum is working on its own proof of stake and scaling solutions and the Cosmos core development team collaborates with the Ethereum core developers on research. Tendermint served as a baseline for Ethereum but they are looking to provide additional guarantees that Tendermint doesn’t provide, specifically with regards to availability. In Tendermint, if a third of the validators go down, the network also halts, whereas with Ethereum’s Casper protocol, the idea is for the network to continue. The difference is a guarantee over state fee so Casper is going to need to fork more frequently whereas Tendermint will never fork as the network is designed to stop completely, rather than fork. Polkadot is a second competitor that is looking at a scaling mechanism for Ethereum. Cosmos and Polkadot are interested in working together, but have different designs for how validators are spread across blockchains. Polkadot is very interested in the EVM, whereas Tendermint has a more flexible approach. A third is Interledger, which is a simple abstraction for communication between two chains but does not provide any authoritative state. Cosmos actually might be able to use interledger to exchange data (more data formats, specification of data that you would want to exchange data). Tendermint goes much farther than interledger in that it provides authoritative information about state. Waves is another noteworthy competitor as they seemed to have launched a decentralized exchange with similar functionality, however Waves used delegated Proof of Stake for their consensus method. Cosmos is looking to build the internet of blockchains and they are open to partnering with other projects that have a similar mission to build out their vision. Ultimate goal is to completely disintermediate the role of exchanges as custodians. The crypto currency community all still trust exchanges with our currency to trade which is a lot of responsibility on exchanges and a big problem if they get hacked. The Cosmos team would prefer to see a larger amount of trading volume happen in a decentralized way, which can lead to having other forms of interoperability on top. Another big goal is scalability. Ethereum is one big globally ordered state machine which doesn’t scale and the Cosmos team want to start to break up a state machine like that into separate shards that are interoperable so that each can get data from the others, while most transactions cluster on one blockchain. Perhaps the shards can be along regional lines and / or local community oriented blockchain architecture, maybe each city has a blockchain that come together in a country blockchain. The exact model is still up for discussion. MLG Capital holds a position in Cosmos. The contents of this article was gathered from a conversation with the Cosmos CTO Ethan Buchman.